Hey There AEON Fellas – Let’s Enjoy ‘Kampung Peranakan’! 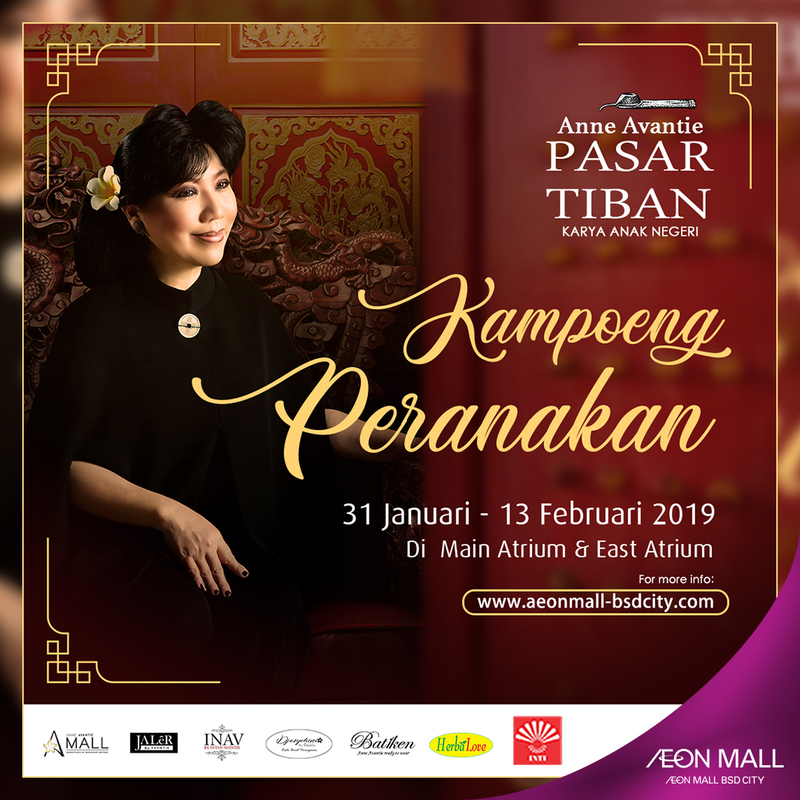 Let’s celebrate Chinese New Year with AEON Mall BSD City and Anne Aventie in Tiban Market event, ‘Kampoeng Peranakan’ that will be held from January 31st to Feb 13th in the Main and East Atrium, AEON Mall, BSD City! There will be a lot of fun, such as talkshows by Anne Avantie, Guzheng performance, Yuzheng tradition and of course, the Lion Dance! Moreover, there will be Kampoeng Botjah in the East Atrium that will bring you to the Indonesian traditional games back in the day. When you’re done browsing around the batik collection or playing at the Kampoeng Botjah, you can also pay a visit to the Kampoeng Djajanan in the main atrium which has so many traditional dishes to offer, such as Dawet Ice, various kinds of porridges, rujak, and also pecel! Are you curious enough with the Tiban Market ‘Kampoeng Peranakan’? What are you waiting for? Come and play at AEON Mall, BSD City! To find out more, visit www.aeonmall-bsdcity.com for more details.